I just got home from an evening out at TGI Fridays with some mom friends. I'm sure you know me well enough by now that I don't go anywhere without first looking for a voucher code of some sort for the restaurant or store that I'm going to. Of course I make sure it's valid for the day and time I'm going to use it and it's actually for something that I plan on ordering. Fast forward to actually using the voucher code... 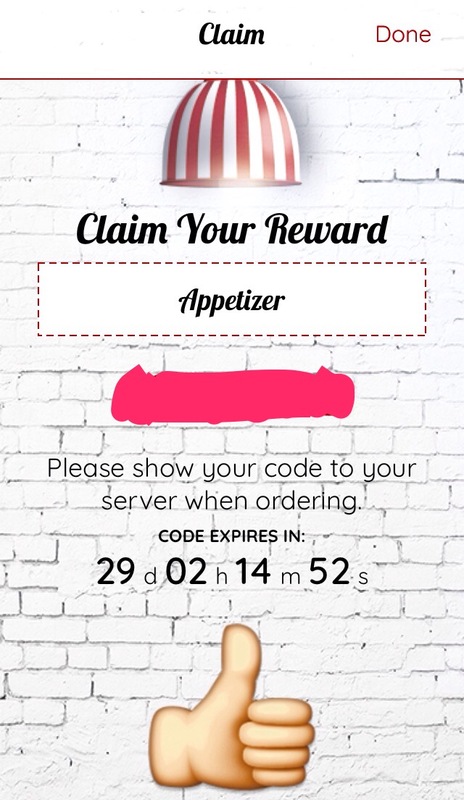 I'm talking about the kind that are on mobile apps... whenever I hit "Claim" or "Use It Now" or similar on the voucher to get the code, I snap a quick picture of it just in case the voucher code somehow magically disappears between the time I hit "Claim" and when the waiter or cashier is able to enter it into the register. I learned this the hard way a couple of years ago when I lost the data connection before the waiter could take down the voucher code. Tonight would have been a similar situation when the waiter could only enter in 5 voucher codes that the other ladies had - I had the 6th - and my voucher code disappeared when he was trying to sort it out. 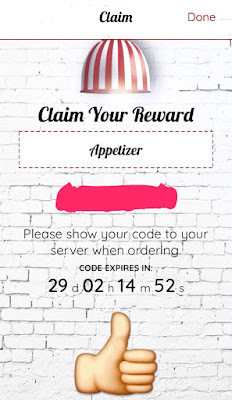 Thankfully I had taken a picture of voucher code and he was able to use the photo of it unbeknownst to him to take 6th appetizer from our group's bill. I hope you found that Quick Tip helpful!